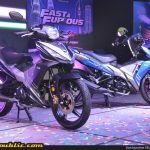 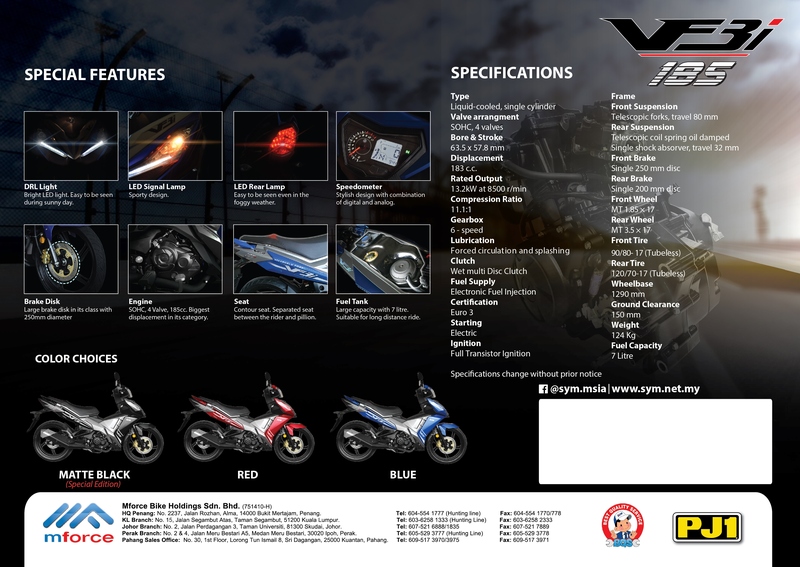 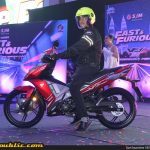 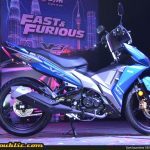 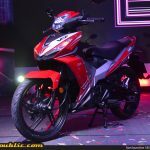 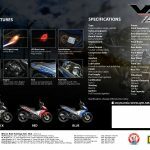 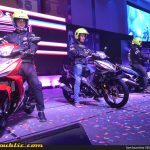 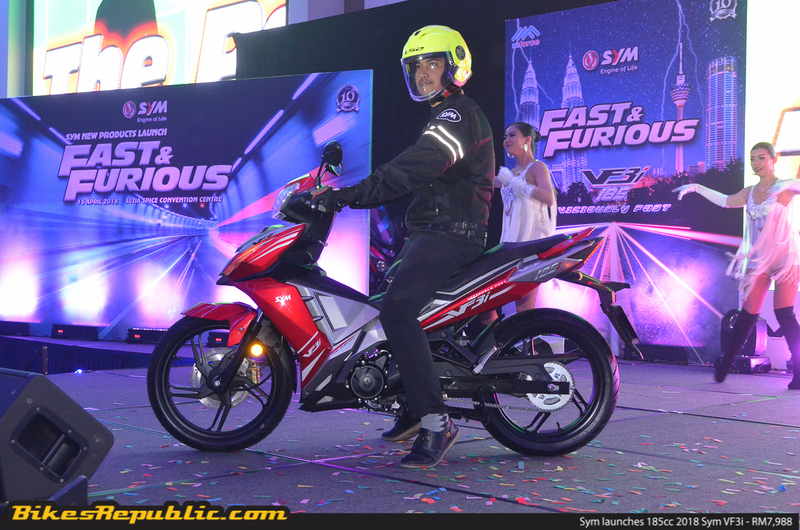 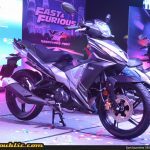 Home Year 2018 Sym launches 185cc 2018 Sym VF3i – RM7,988! 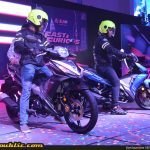 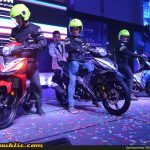 Sym launches 185cc 2018 Sym VF3i – RM7,988! 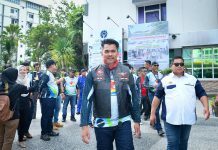 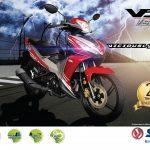 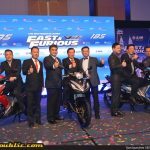 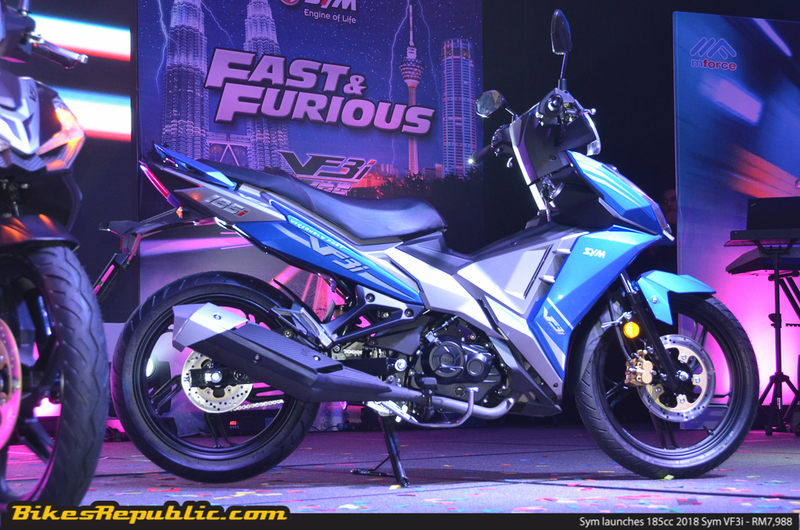 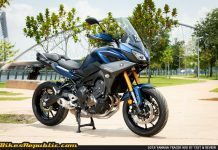 Sym Malaysia has officially unveiled their latest 3018 Sym VF3i. 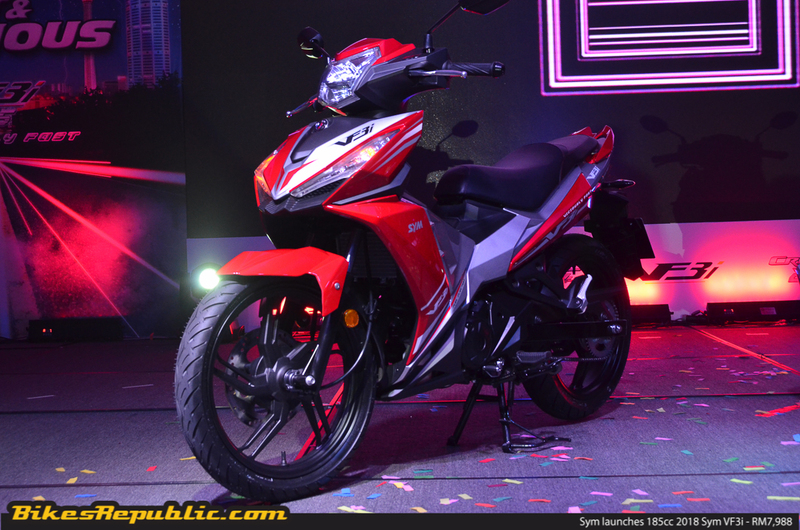 Their latest 185cc moped is the largest capacity bike in its class. 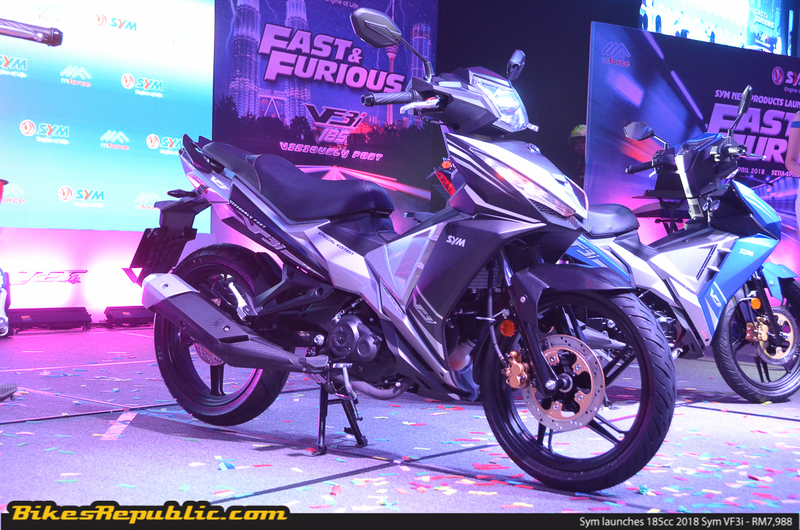 The new VF3i is priced from RM7,988 (basic price without GST). 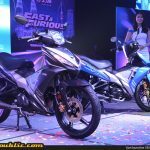 Sym Malaysia has officially launched the world’s biggest moped in the world that is the 2018 Sym VF3i. 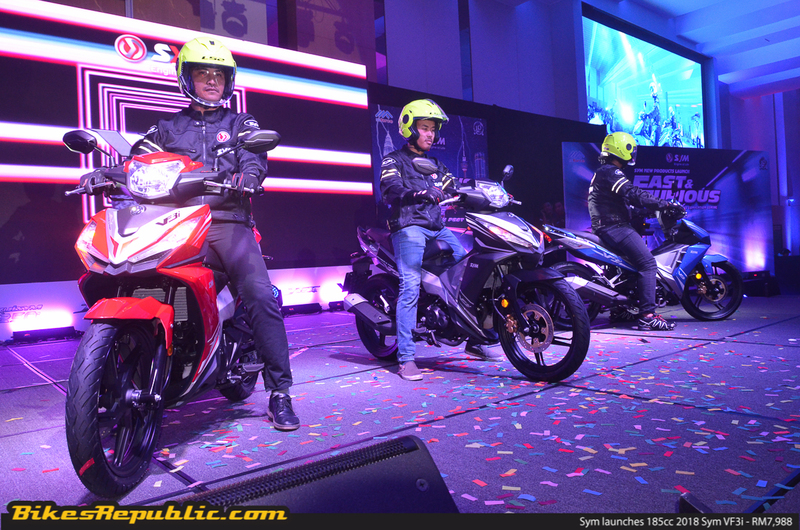 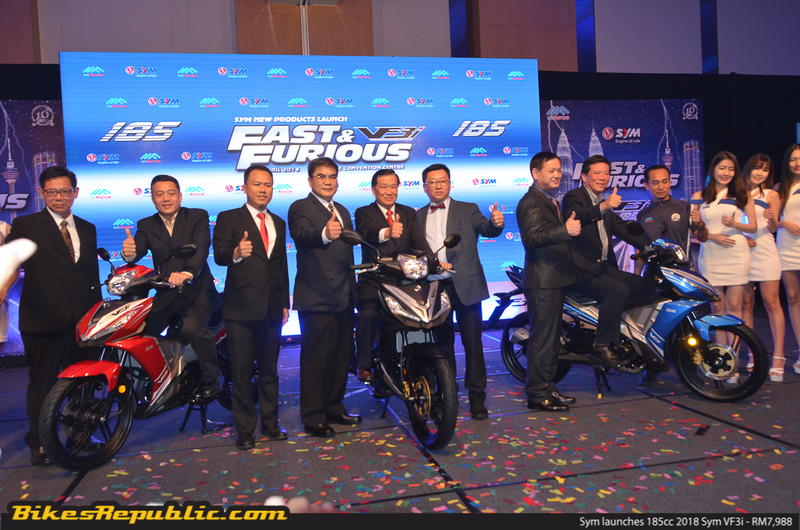 The 185cc was launched earlier tonight at the Setia SPICE Convention Centre in Penang. 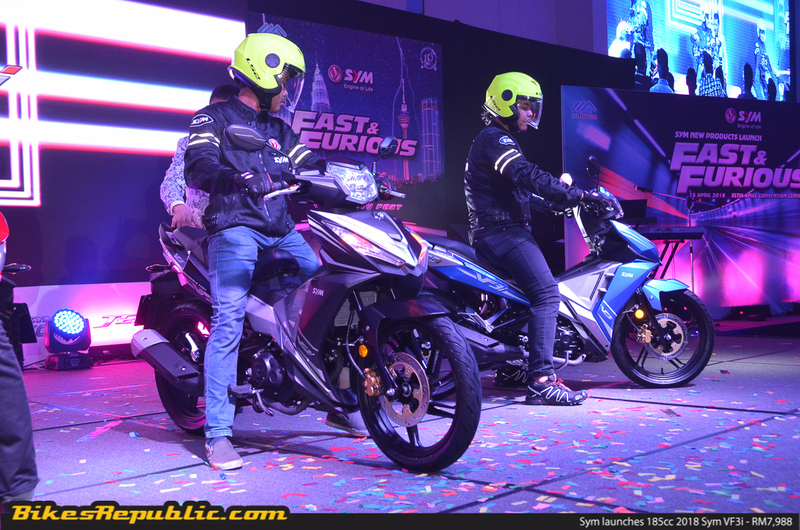 The latest cub from Sym is fitted with a 183cc single-cylinder, SOHC, liquid-cooled engine that is able to produce 17.7hp at 8,500rpm and 15.3Nm of torque. 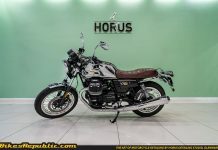 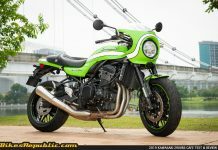 This is the biggest displacement motorcycle in its category. 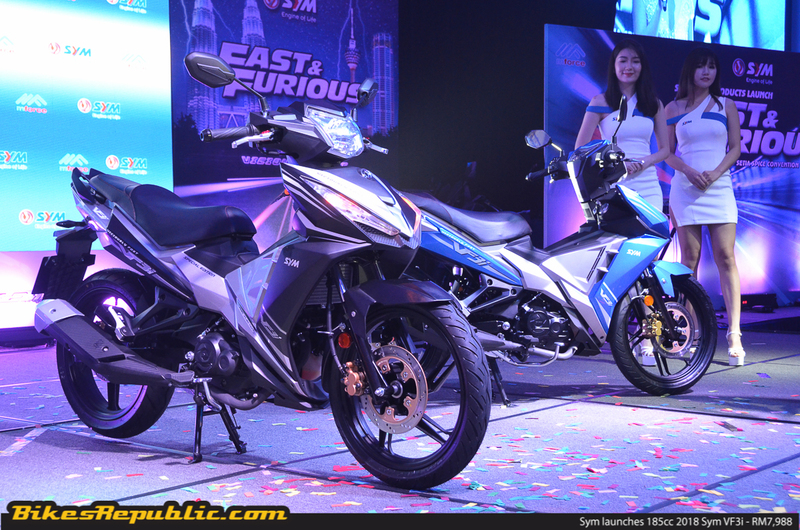 To accompany its engine, Sym went with the modern and stylish design which is perfect for the modern day and age. 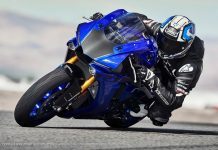 From its all-around LED lights to its stylish digital and analogue combination speedometer, we expect that it’ll be a very hot-selling bike once it enters the market in May. 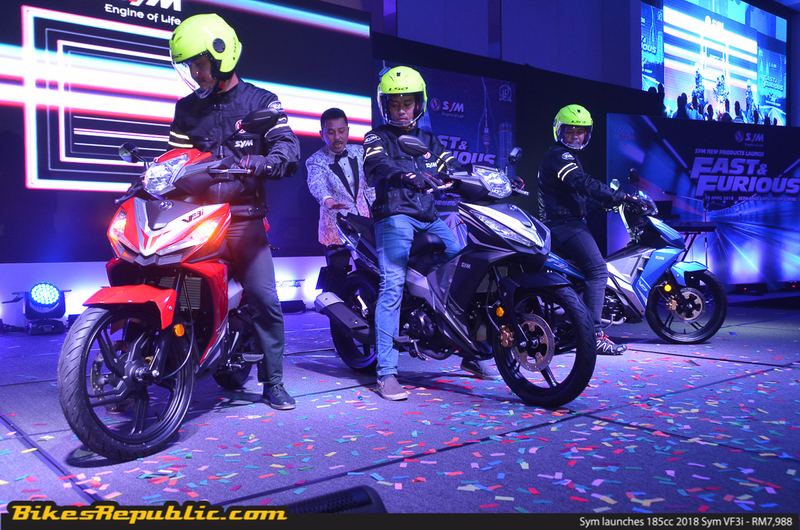 Other specs include a huge 7-litre fuel tank, all-round disc brakes (250mm front, 200mm rear), and contoured seat are all included in Sym’s latest ‘kapcai’. 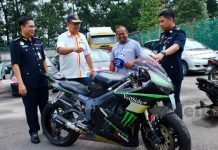 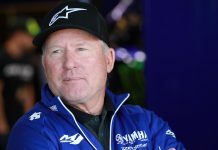 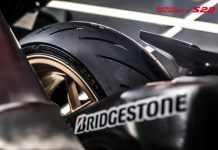 It was also mentioned that the 124kg bike is able to achieve a top speed of 155km/h. 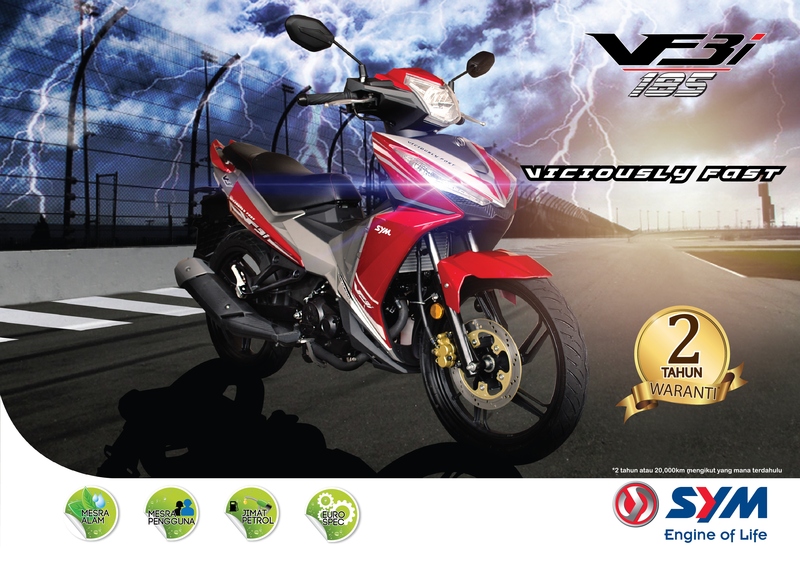 The 2018 Sym VF3i is priced at an amazingly low introductory price of RM7,988 (basic price without GST) and will be available in two different colour options; Blue and Red. 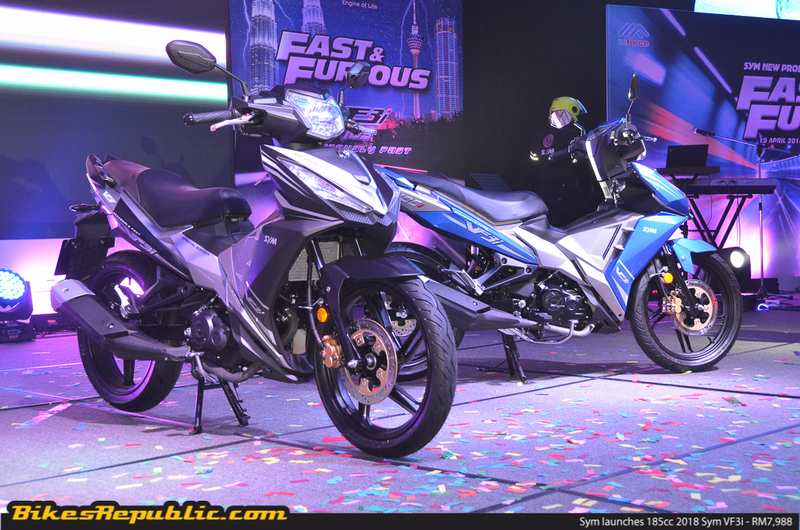 There’s also a Matte Black Special Edition which is priced at RM8,288.